Groovin’ with the Go-to Gals – It’s Time to K.I.S.S. Hello, friends! World Card Making Day is drawing near…have you made plans for this special day yet? I will be teaching at Scrapbooks to Remember in Anthem, AZ, which I’m beyond excited about. I hope to see some of you there! I’m also hosting a fashion/home decor challenge at Ellen Hutson’s CLASSroom blog, which is where I post a technique-based class every Wednesday. Please come say “hi”! 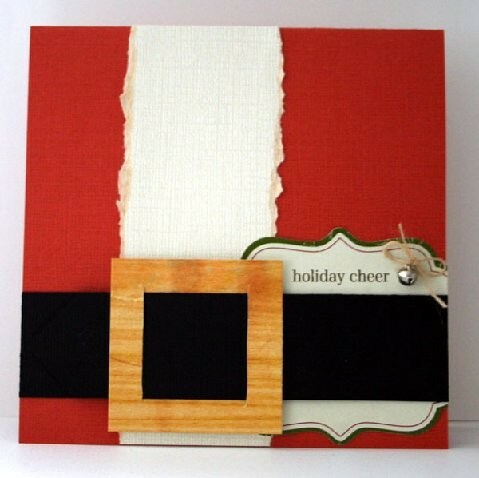 I will also be contributing a card to the Scrapbook & Cards Today blog. They are a Canadian-based magazine that is found in local scrapbook stores and can also be seen online. That’s the wonderful thing about “World” Card Making Day…it’s a day where friends and strangers from around the globe can come together and enjoy what they love…creating heartfelt cards. Creating a card that is flat, light weight and standard size (4 ¼” x 5 ½”) makes it easier and more cost-effective to mail. Additional postage is required for square and odd-shaped envelopes. I designed this holiday card specifically with mass producing it in mind. Get your children involved and design a card that uses punches (I used a large circle, snowflake and small folk heart punches). Create an assembly line by pre-cutting/punching papers and let your family lend a helping hand. I used papers from the Merry Days of Christmas collection by My Mind’s Eye. 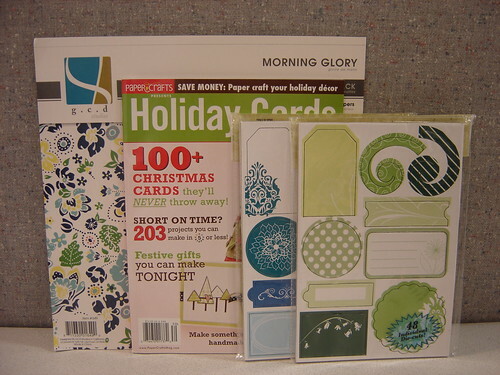 I like using a holiday paper collection because the colors coordinate perfectly. The Cold & Cuddly stamp set by Stampin’ Up! is absolutely adorable, and it can be used year after year (use the bear or walrus to create a different card entirely). Santa's Holiday Cheer Card is only five steps and perfect for mass producing! 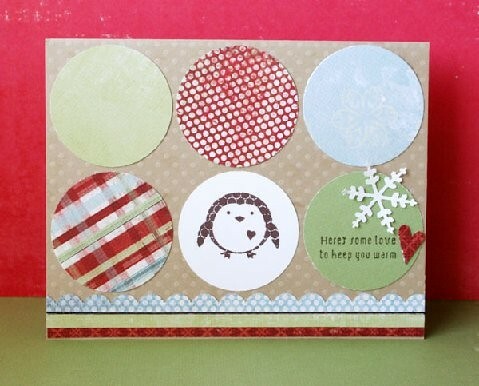 This card was published in the recent Holiday Cards & More, Volume 4 and is easy to replicate. Just cut two slits in a square and add black paper through it to create Santa’s belt. The base papers are by Core’dinations cardstock and the sentiment can easily be created with a bracket die cut. Just stamp a holiday sentiment and add a jingle bell accent. If you are digital savvy, add special touches to your family photo and use them as your holiday card. Many photo-developing stores offer great printing rates during the holidays. You just have to shop around! When designing a card to mass produce, use the K.I.S.S. method (Keep It Simple Silly). Keep layers to the minimum and purchase embellishments that come in multiple packs, if possible. That’s a big reason why stamped cards are ideal – you can use the stamps over and over again. You can assemble them while cropping with friends or sitting in front of the television. I love the feeling that I get when they are all completed and sent, don’t you? I have a fun giveaway today! Two winners will each take home a GCD Studios paper pad, two packages of their die cut chipboard and a copy of Holiday Cards & More, Volume 4 (which is my favorite special publication this year). Please tell me if you make your own holiday cards and about how many you send out. All comments must be received by midnight (MST) on Friday, Oct. 2. Two lucky winners will each receive this prize package! Let the holiday card-making begin! P.S. Make sure you hop on over to Cath’s Moxie Fab World blog! Today on her world tour of card-making, she’s spotlighting cards from the Dominican Republic, Japan, Morocco, the Phillipines, Puerto Rico and Singapore! It seems only fitting then that we’ve created our very own worldwide holiday to celebrate our passion and yours – World Card Making Day! Here's some celebratory highlights from the Paper Crafts team. If you are a complete over-achiever and have all of your Christmas cards done or you’re a total procrastinator and just don’t feel like getting started yet, you could spend your day looking for inspiration online by visiting inspiring blogs on our blog tour. Cozy up at home in your jammies and fall into creative nirvana with bloggers from all over the world. Whatever you do this Saturday, just take some time to enjoy the very essence of World Card Making Day. Creating, giving, celebrating, and sharing – it doesn’t get any better than that! I have some fun KI Memories stickers, paper pads and copies of Holiday Cards & More, Volume 4 to give away to two commenters who tell me a fun and wacky holiday they celebrate or share an unusual holiday tradition. All comments must be received by midnight (MDT) on Thursday, Oct. 1. Two lucky winners will each take home this prize pacakge! P.S. Make sure you hop on over to Cath’s Moxie Fab World blog! Today on her world tour of card-making, she’s spotlighting cards from Australia and the United Kingdom! G’day, mate! And since we’re all about sharing the love of card-making, we’re once again partnering with creative editor Cath Edvalson and her Moxie Fab World blog. Today on her worldwide tour of card-making, she’s featuring some beautiful cards from Europe. Make sure you find a comfy seat on the”Moxie Fab Express” because each day this week she’ll be taking you to new countries and introducing you to cards and designers you’ve never seen before! Who knew stamping your passport could be so easy! Today I have the opportunity to spotlight the UK-based magazine PaperCraft inspirations. I got the chance to pick the brain of one of their willing staff members, a Miss Jennifer Phin. Even though our magazines are literally worlds apart, I was surprised by her answers to my questionnaire. Card-making really is an universal hobby that bridges all cultures, languages and people. So without further ado (what a nice British word! ), let’s go inside the pages of England’s PaperCraft inspirations! Here's PaperCraft inspirations' November 2009 cover. 1. 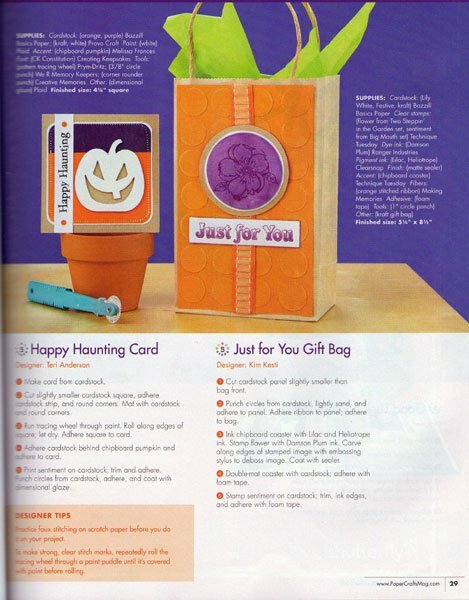 What is PaperCraft inspirations magazine? 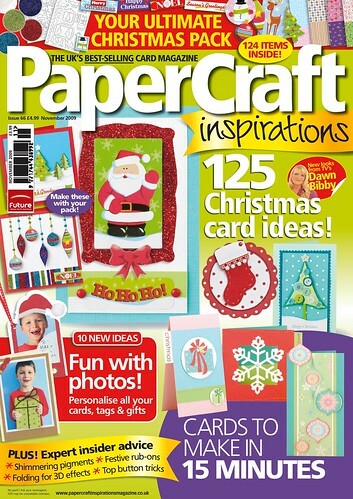 PaperCraft inspirations is the UK’s best selling card magazine! As well as lots of card projects for our readers to try, we share paper crafting tips, tricks, inspirations and the latest craft products. 2. What types of projects does your publication predominantly feature? Cards? Scrapbook Layouts/Mini Albums? Gift Wrap? Home décor? We focus mainly on cards of all kinds ­– paper pieced, 3D, pop-up, stamped and more! 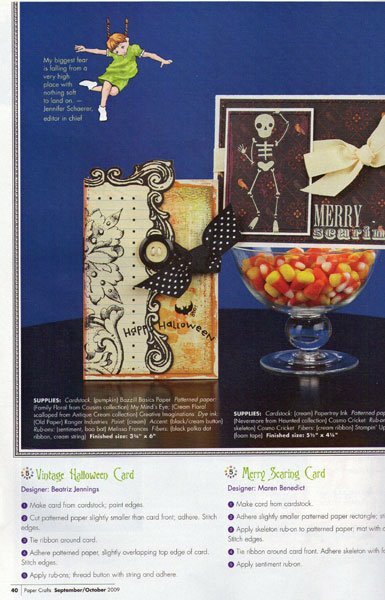 But we also regularly feature gift boxes, tags and wrapping, as well as scrapbooking ideas. 3. What occasions do your readers like to paper craft the most? Birthdays and Christmas are the major occasions for card makers, but we know that our readers also make cards to say “Congratulations”, “Good luck”, “Thanks”, and “Get well”. In our recent survey, we discovered that on average our readers make a whopping 226 cards every year! 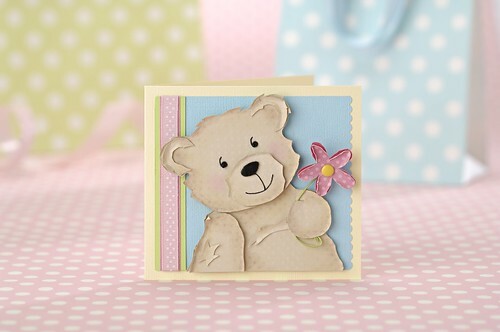 Here's a cute example of a card that appears in PaperCraft inspirations. 4. What techniques are your readers most interested in? Our readers love to learn new techniques; we have a Master Class every issue to introduce them to more specialized areas of paper crafting. They also enjoy using our free templates to make layered and paper pieced cards, and are mad about stamping, stickers and decoupage, too! 5. What differences in style do you notice between UK readers and American readers? How are they similar? We think UK and American crafters have very similar tastes and passions – in fact, we’ve heard from some readers here who have crafty pen pals in the U.S.! They swap cards and ATCs and really enjoy sharing tips. 6. Would you say card making has risen in popularity in the United Kingdom? Card making has always been popular; the difference now is that crafters have access to more exciting new products thanks to the Internet and specialist stores like HobbyCraft. Crafting groups and clubs have definitely become more popular, which has played a big part in making the craft community more visible. 7. Why do you think paper crafting has such universal appeal? Handmade cards are such a personal way to send special messages – we know that our creations will be cherished for years to come. Every creation is unique, low-budget and given with love – what could be better? 8. 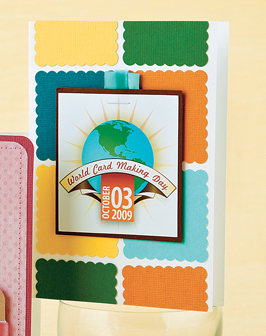 How will your publication be celebrating World Card Making Day on Saturday, Oct. 3? We trumpeted the good news of World Card Making Day in our October issue, so we hope our readers will be joining in by making cards with friends and family, visiting the official web site and generally crafting their socks off! 9. Why is it important to have a holiday that commemorates paper crafting? Everyday life is so busy with work, kids and chores that it’s important to take time to celebrate the skill and talent of card makers, and to dedicate a little time to our favorite hobby. Giving over a whole day to crafting might feel quite decadent to many card makers, but – hey! – we deserve it. I couldn’t agree more, Jennifer! Thanks so much for sharing your magazine with us and answering some of our burning questions. We wish everyone in England a very merry World Card Making Day! Are you ready for today’s giveaway? I was blown away when Jennifer revealed that PaperCraft inspirations readers make 226 cards each year! I love to hear how many you make a year (rough estimate, please). Leave a comment and I’ll randomly pick two people to win Dream Street Papers’ Wonderland and Angel Heart collections, PaperTrey Ink’s Polka Dot Basics stamp set and a copy of Holiday Cards & More, Volume 4. All comments must be received by midnight (MST) on Wednesday, Sept. 30. Two lucky winners will each take home this prize package! Welcome to Freebie Friday! This week has literally flown by! We had a blast at our annual Editorial Board Meeting. This was the first time all of the new Go-to Gals and the Paper Crafts team were in one room. Our Go-to Gals flew in on Monday, flew out on Wednesday and in between those short 48 hours, we found time to review all of last year’s magazines, concept all of next year’s issues, participate in two photo shoots, enjoy two dinner parties and laugh until our stomachs hurt. Who knew “working” could be so much fun! And the fun continues because all next week we’ll be counting down the days until World Card Making Day arrives on Saturday, October 3. 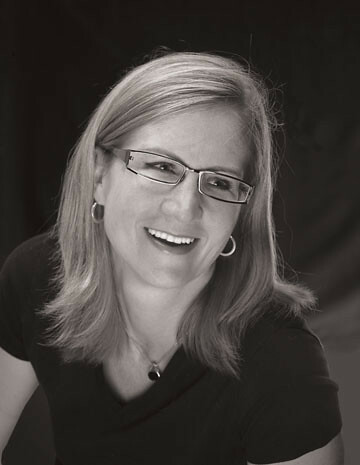 We’re once again partnering with creative editor Cath Edvalson and her Moxie Fab World blog. She’s taking a really fun approach that plays off the “world” title in her blog. If you thought Paper Crafts magazine couldn’t reach the far corners of the earth, wait until you see what Cath has in store! The global participation begins next Monday, so make sure you check back with us! Paper Crafts Go-to Gal Kim Kesti turned the WCMD logo into this fun card! Magazine Monday– Have you ever wondered what cardmakers are like in England? Well, the wait is over because we’ll be spotlighting the UK-based publication PaperCraft inspirations. We’ll ask one of their editors all the questions you’ve been dying to know like their favorite occasions to paper craft, techniques they love and why paper crafting has such an universal appeal. And there will, of course, be a jolly good giveaway (said in my best English accent!). 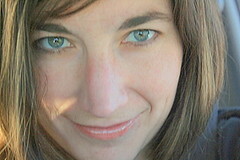 Tuesday – Editor Susan R. Opel will spotlight the Celebrate section of the World Card Making Day web site. Who knew there were so many fun ways to commemorate this holiday? She also has some fun product from KI Memories up for grabs! Wednesday – Since World Card Making Day officially kicks off the holiday card-making season, Paper Crafts Go-to Gal Kim Hughes will give us some valuable tips for mass producing cards. She’ll also talk about what retail store she’ll be visiting on World Card Making Day. And if you’re a fan of GCD Studios, she’s got some of their gorgeous product to give away! 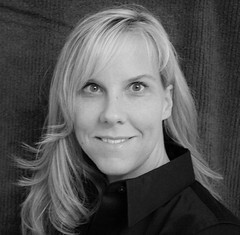 Thursday – Managing Editor Brandy Jesperson will spotlight the Sponsors/Gallery sections of the World Card Making Day web site. She’ll also announce a fun contest, where five cards will be selected from the World Card Making Day gallery and spotlighted on this blog the week of Oct. 5-Oct. 9. If that wasn’t cool enough, she’s giving away some gorgeous Christmas product from SEI. Freebie Friday – Join us for our “Editor Ask Around” where I’ll reveal how each editor will be celebrating World Card Making Day. I’ve also got two amazing prize packages from Little Yellow Bicycle that are just waiting to go to good homes. Saturday– Happy World Card Making Day! We want to hear how you’ll be celebrating this special holiday. Pajama party with your closest girlfriends? Reorganizing your craft room? Whatever the answer, I’ll pick one random person to win an unbelievable prize package. Let’s just say this person will win the paper crafting jackpot! So, are you getting excited yet? We’ve been planning all year and can’t believe that the big day is almost here! To get the ball rolling, I’m happy to announce an exciting addition to our World Card Making Day blog tour! Susan mentioned last week that absolutely anybody could participate. As long as you plan on celebrating World Card Making Day in some fun way, we would love for you to add your blog URL to our growing list of passionate supporters (We’re at 154 and counting!). The addition is we’ve asked 25 of our most popular bloggers to take part in a fun promotion. In exchange for posting a card to their blogs, they will each give out a 25% off coupon code that’s good for ANYTHING in our online store! So click HERE to see the 25 designers, then go visit their blogs and finally, go shopping! The coupon expires at midnight (MST) on Oct. 12, so don’t delay! 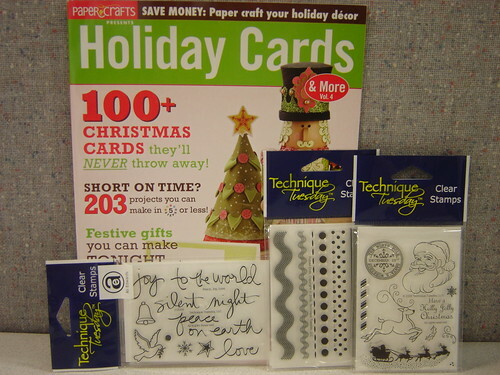 For today’s giveaway, I have three Technique Tuesday stamp sets and a copy of Holiday Cards & More, Volume 4. Leave a comment telling me why YOU think card making has such an universal appeal. All comments must be received by midnight (MST) on Sunday, Sept. 27. It’s official! I thought I would let our loyal readers know that I finally got engaged last Tuesday after dating my now-fiancé (wow that feels weird to say! ), Todd, for three years. We went to look at the stars (with a telescope borrowed from his neighbor) at our favorite place in our favorite canyon, and after a while of him acting nervous and fidgety, he got on one knee and asked me. I couldn’t have asked for anything better—it was personal, thoughtful, and just our style. Almost immediately, I started thinking about the long “to-do” list that I need to finish before my winter wedding—I decided on black, white and gold for my colors, and I was even able to book my dream reception hall last weekend! 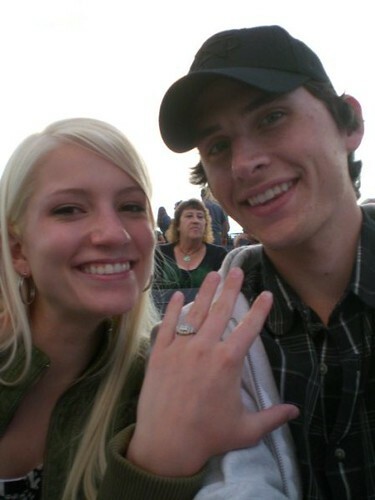 But more than anything, I want everything possible to be as personal and thoughtful as Todd’s proposal. And here's my new favorite piece of jewelry! Of course, when I came to the Paper Crafts office the next day, I started getting excited about all the personal touches I could add to my big day with my own paper crafts. And this is where the loyal readers and contributors come in. After discussing it with the amazingly creative editor, Kelly, we decided that it would be fun (and also helpful for me!) to see what wedding ideas you paper crafters have. Any paper craft related to a wedding would be fun—from invitations and thank-you cards to favors and reception décor! And since no idea is a bad idea, I’ll randomly pick two people to win a wedding-themed clear stamp set. All comments must be received by midnight (MST) on Friday, Sept. 25. Thanks for all of the contributions you make to Paper Crafts. I’m excited to see whatever ideas and advice are given to me—I need all that I can get! P.S. Today just happens to be Brandy’s birthday! I’m sure we’ll be posting pictures of her new birthday sign very soon! Happy birthday to one cute momma-to-be! Somebody pinch me. This week has been amazing. I have been surrounded by remarkably inspiring women. Monday I flew to Utah and finally got to meet the entire Paper Crafts team and all of my fellow Go-to Gals. What a treat to all come together for Paper Crafts annual Editorial Board Meeting. We’ve been hugging and giggling for two days straight. Somebody pinch me. The Paper Crafts Go-to Gals: Jessica Witty, Maren Benedict, Kim Kesti, Betsy Veldman, Teri Anderson and Kim Hughes (seated). While I was walking through the craft store the other day, I saw a woman almost drooling over a new paper line. I made eye contact and smiled a big toothy grin. I knew exactly what she was feeling. Don’t you? We are well into my favorite season – fall. During the fall, I am reminded of all that I am grateful for: my health, my friends, my family and my craft room! And I’m thankful for you, too! Thank you for being apart of this community, for supporting Paper Crafts, for embracing this craft and inspiring others around you. With World Card Making Day right around the corner (October 3), this is the perfect time to inspire new crafters. Invite a friend over to craft with you. Give a new neighbor a “Welcome to the neighborhood” card. Let’s keep the enthusiasm going! Cheesy, right? But very genuine and heartfelt. So I still need a pinch. But not too hard, please! Congrats, winners! Each of you will receive a copy of the September/October issue! Kelly will be contacting you shortly for your mailing addresses. Thanks to all who left comments! Even though Halloween is still a month away, it’s beginning to look a lot like Christmas…at least around here in the Paper Crafts editorial office! Our November/December issue is now on sale, so if you don’t subscribe and still need to get a copy, click HERE to get one. Better yet, just subscribe — you’ll save yourself 40% and get the issue in your mailbox before it’s available on the newsstand. A subscription also makes a great gift, and — psssst, don’t tell anyone — Christmas is just around the corner. Hee hee! We’re so excited about this cover, too. When we choose cards for our cover, they have to have a certain, well, something. Maybe it’s a color combination, or a particular style, or a good representation of the cards throughout the magazine. It’s usually an agonizing process because we always have so many fantastic cards to choose from, and this cover was no exception. It turns out that Rae Barthel (our cute Gallery Idol for 2009) and Kim Hughes (newly minted Paper Crafts Go-to Gal) were the best of the best for this issue, because their cards (TWO from Rae!) are the shining stars of this cover. We also freshened up our cover layout a bit as well — can you tell what’s different? Our November/December 2009 issue goes on sale TODAY! Even though it’s Christmas in what we affectionately call “magazine time,” in reality it’s Halloween that’s up next. And we’re reminded of that every week when we have our team meeting, because we have an agenda item called Team Halloween Costume. You know that we take all festive occasions very seriously around here, and Halloween is one of the biggest — so of course it’s a topic in our weekly meeting. 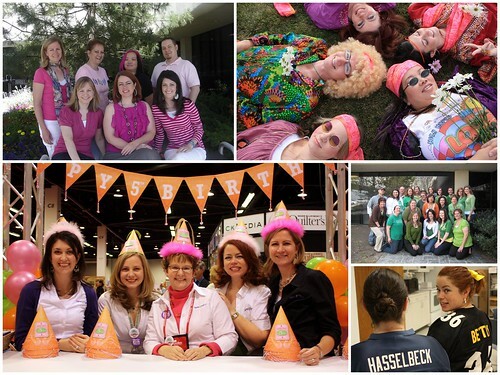 This year we want to do something fun, because we’re a team of 7 women and one man. We’ve thought about cheerleader/football player (with Matt as the cheerleader…) and doctor/nurse (with Matt as the…nurse, of course!). But then we got to thinking that we could get a whole bunch of great ideas by asking our readers to toss in their collective two cents. So whaddya think? Do you have a great idea for our group Halloween costume this year? Put it in the comments, and if we end up using your idea there will be a special something that comes your way from the Paper Crafts super stash of cool blog prizes. P.S. Did I mention that we take Halloween very seriously? To give you an idea of just how far we take a theme, here’s a picture of us from Halloween 2008. 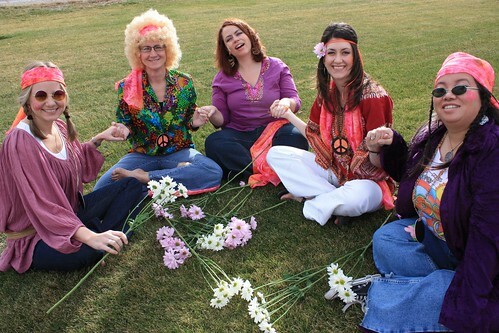 Are we a groovy bunch of hippies or what? I’m so happy that you’ve joined me for the third and final installment of my “Back to School” blog series. As I continue to share with you ideas on how to use each Paper Crafts magazine, I’d like to touch base on style. I think we all have one, but some are not as easy to recognize as others, as many cross over. There’s graphic, shabby chic (or vintage), fun and cute and so many more. You might find that you are drawn to the same style that you, yourself create. I think most of us can appreciate a beautiful card in any style. I pulled out my September/October 2009 issue to find some “style” samples that caught my eye. Here's Teri Anderson's clean and graphic Happy Haunting Card. I think the pumpkin card created by Teri Anderson is absolutely adorable. It’s clean, graphic and oh SO cute! But let’s see how this card would look if it were made with a shabby chic style in mind, which mostly consists of patterns, distressing, some playful buttons and jute or twine. And here's my shabby chic Welcome Home card. I kept Teri’s outstanding color combination and design, but instead of solid cardstock, I replaced those papers with patterned papers. I stamped a pattern onto the base kraft cardstock. You can alter solid papers with stamps, rub-ons or doodles to create your own patterned papers. Make sure that there is a white core if you choose to sand the edges. I changed the topic completely and went with a “welcome home” theme (the possibilities are endless). I find that small, subtle patterns typically work best. Now let’s change it around and see what a shabby chic card looks like in a graphic style. Here's Beatriz Jennings' shabby chic Happy Halloween Card. “Happy Halloween” created by Beatriz Jennings nailed the shabby chic look. Going graphic means solid, clean lines. Usually some bold black and minimal, simplistic embellishments. Like Teri’s card, I kept the same design and color combination as Beatriz did on her sweet card. I pulled out my cardstock colors and got to work. (I couldn’t resist using a polka dot cardstock though). I punched holes in the cream cardstock to let the black show through. Circles and dots are very graphic. I substituted the polka dot ribbon for a bold striped one and used bold black letters for the sentiment. I decided to add touches of orange and yellow to draw in my colors. And here's my clean and graphic Hi Card. If the clean and graphic style appeals to you, why not make a card and enter it in Paper Crafts’ September Gallery Challenge? If you need some inspiration, check out the “Graphically Speaking” feature in the September/October issue. You’ve got until Monday, Sept. 28 to upload your project image HERE. I hope that I have given you something new to think about. 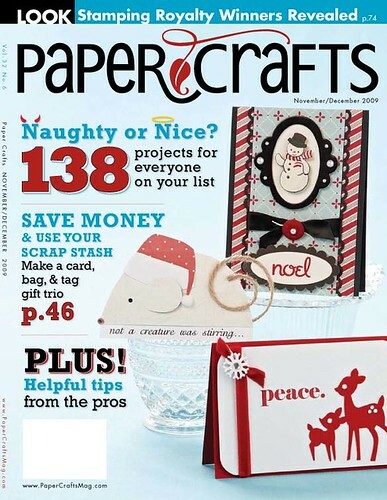 Please take a closer look at each Paper Crafts magazine because they truly offer a fountain of creative inspiration. I appreciate you sharing some of your time with me today. P.S. I’d love to hear what card-making style you naturally gravitate towards. Leave a comment and I’ll pick three winners to receive a copy of our September/October issue. All comments must be received by midnight (MST) on Tuesday, Sept. 22. P.P.S. It’s time to announce the winner from Kelly’s Freebie Friday – Giving Back post! Congrats, Kim! You’ve won a layout kit designed by Wendy Sue Anderson! Kelly will be contacting you shortly to get your mailing address. Thanks to all who left comments! Welcome to Freebie Friday! We were blown away by all of the amazing comments we got from Brandy’s blog yesterday. We love that you, our loyal readers, are just as passionate about what goes into the pages of Paper Crafts magazine as we are! We will definitely take your suggestions to heart when we come together at next week’s Editorial Board meeting. After all, this hobby is all about creative expression, sharing your time and talents and giving back to a community that’s always ready to rally. Which is why I was thrilled when Paper Crafts designer Becky Olsen asked me and Creating Keepsakes’ Megan Hoeppner to join her last Saturday for a fundraising crop benefitting cystic fibrosis. Becky’s friend Brenda Hurd has a six-year-old son afflicted with this fatal disease, so every year Brenda hosts a crop to raise money towards finding a cure. I’m happy to report she made almost $4000 at this year’s event! 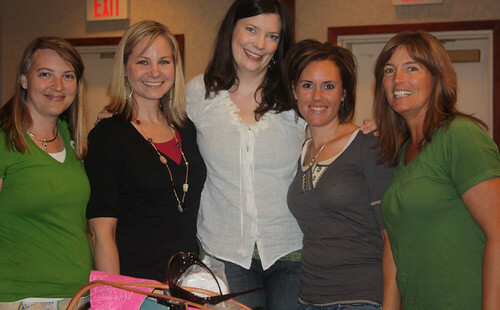 Here's Roxanne (Becky's sister), myself, Megan, Brenda and Becky. In addition to the goodie bags of product for each guest, Brenda also held hourly drawings and gave away a ton of raffle prizes. 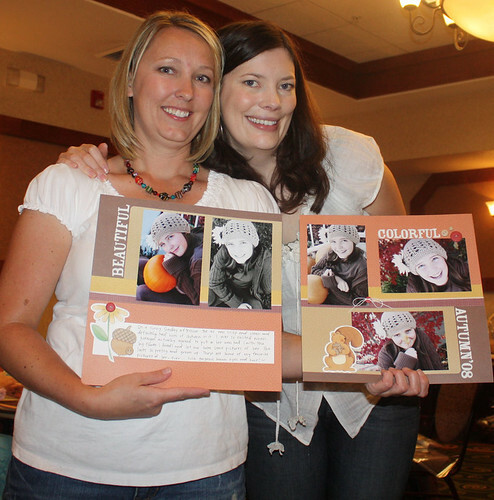 As a special treat, Paper Crafts and Creating Keepsakes designer Wendy Sue Anderson was also on hand to teach a fun class featuring a layout she designed. And we each got to take home a kit to recreate this autumn layout! Here's a cute photo of Wendy Sue and Megan. Isn't Wendy Sue's layout adorable? 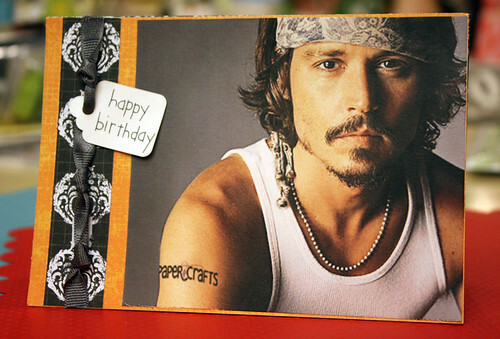 Who knew Johnny was such a fan of Paper Crafts? Needless to say, Stace loved her card! And I loved completing a project (even if it was a very small one!). But the real thrill of the day was spending time with crafty friends and knowing that our combined efforts were going towards a very good cause. If you would like to help Brenda reach her crop goal, you can purchase one of Wendy Sue’s layout kits for $10 (includes shipping). Click HERE for more information. All proceeds will go towards cystic fibrosis research. For today’s giveaway, one random winner will take home one of these very special kits. Leave a comment telling me a foundation/charity/cause that’s near and dear to you. All comments must be received by midnight (MST) on Sunday, Sept. 20. P.S. It’s time to announce the winner of Teri Anderson’s Eyelet Hoarder post! Congrats to Cynthia B (Sept. 16, 4:23 p.m.)! 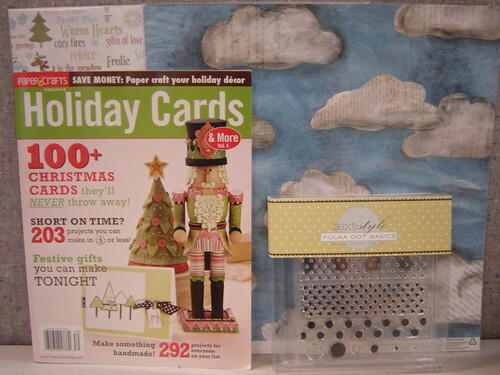 Cynthia, you’ve won both of Teri’s eyelet cards! I’ll be contacting you shortly to get your mailing address. Thanks to all who left comments! Lately I’ve been a bit obsessed with countdowns. My handsome husband and I are expecting our first baby in February, so we’re excitedly counting down the months until we get to meet our new little bundle of joy. I’m a self-professed Christmas-holic, so I’m counting down the days until I can start putting up my Christmas decorations and watching my favorite Christmas movies in front of the fire. I’m counting down the days until my local grocery store is selling pumpkins for me to purchase and promptly place on my front porch. 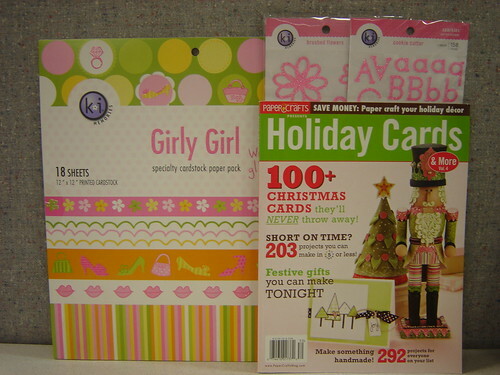 And finally, I’m counting down the days until our first Editorial Board meeting with the new Paper Crafts Go-to Gals! 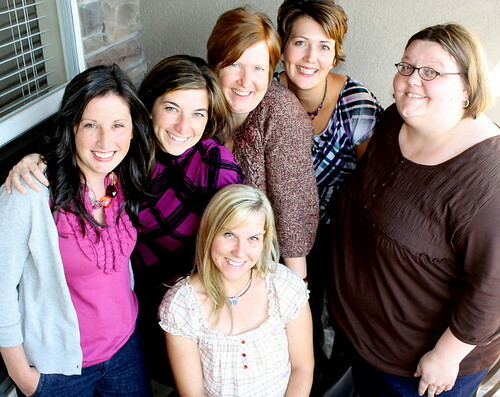 Yep, Betsy, Maren, Kim K., Kim H., Teri, and Jessica are all jet setting their way to Salt Lake next week to meet for a few days of jibber jabbering and concepting. We’ve had lots of Editorial Board meetings in the past. We’ve met with an assortment of talented designers and picked their brains all in the hopes of producing bigger and better magazines for you, our loyal readers. We held last year's ed board meeting at my house. We've met in conference rooms before, but we find we're more creative when we can take off our shoes and relax. 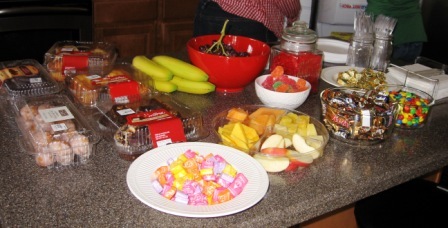 And no Paper Crafts meeting would be complete without a wide variety of sugary substances to keep our energy levels up! How else do you explain the psychic connection between Founding Paper Crafts Pro Sue Neal and Paper Crafts Founder Valerie Pingree? This year will be no different. I’m positive that we’ll come up with some amazing ideas for next year’s magazines. The fact that we finally get to meet some of these Go-to Gals in person is just icing on the cake! Since all of us at Paper Crafts sincerely value what YOU ALL think we’d love to get your ideas too. Consider this your chance to add your ideas to the Editorial Board pot. Leave a comment letting me know what types of features you’d like to see in the future pages of Paper Crafts. Have a technique you’d like to learn more about? Tell me about it and we’ll try our best to work it into the magazine. Want yet another way to be a part of next week’s Editorial Board meeting? Check out our Facebook page for updates on Tuesday…we’ll be sharing little bits of our meeting with our fans! Okay, now that this blog is written and posted, I’m counting down the hours until lunch! This pregnant editor is hungry for something salty! P.S. 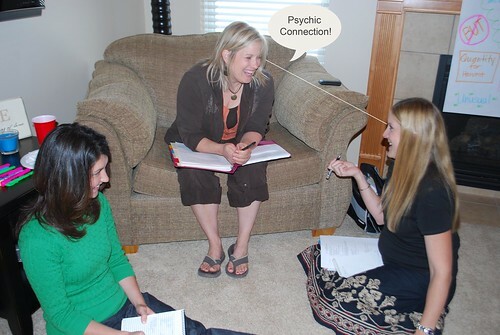 If f you’d like to make your own psychic connection with Sue Neal, she’ll be teaching some fun card classes at CKC-San Marcos this weekend. If you’re in the neighborhood, swing by and give her a big Texas-sized hug!